Platelet-rich plasma injections might sound like cutting-edge treatment for hamstring injuries, but a 2012 systematic review of 10 randomized clinical trials indicates that rehabilitation exercises have a superior effect on acute hamstring injuries (“Efficacy of rehabilitation (lengthening) exercises, platelet-rich plasma injections, and other conservative interventions in acute hamstring injuries: an updated systematic review and meta-analysis” – July 21, 2015). Specifically, lengthening exercises and progressive agility and trunk stabilization exercises have been identified in previous studies as appropriate “for daily practice” to treat acute hamstring injuries. However, the authors of the above study discourage the use of platelet-rich plasma injections, in which a patient’s own platelet-enriched blood is injected into an injured part of the body with the intent to promote healing, finding that the injection is ineffective. Hamstring injuries are one of the most common lower body injuries, particularly affecting athletes participating in sports, such as football, soccer, or track. After tearing a hamstring muscle, a person is 2 to 6 times more likely to suffer a subsequent injury. Participants from the reviewed studies were all associated with sports. 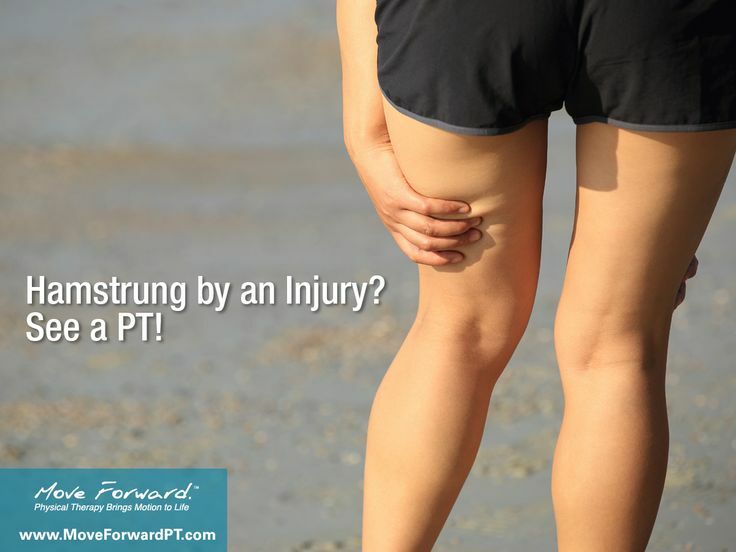 Physical therapists can design individualized treatment programs for hamstring injuries that may include range of motion, muscle strength, manual therapy, and function training.